March is here! March marks the beginning of Spring, also brings us an important day of the year – Mothering Sunday. In the UK and Ireland, Mother’s Day falls on 11th March this year. In early days, people observed Mother’s Day by going to church, and by writing letters to their mothers. Over time, sending cards and giving gifts and flowers were added to the tradition. Today, Mother’s Day is a celebration of mothers, family and loved ones. It is considered as an important day dedicated to every mother on the planet. It is a time to celebrate and make your mum feel proud and loved! Mother’s Day comes once a year. We believe every mum is special and unique, and she deserves the very best for Mother’s Day. When it comes to sending a more personal message to her on such an important occasion like Mother’s Day, we are sometimes lost for words to express our love and thought. Hence, choosing the perfect Mother’s Day card can help save the day! 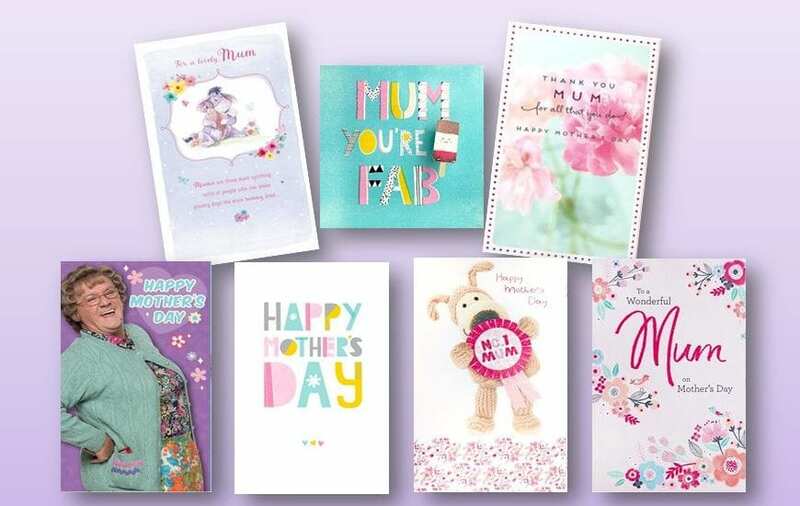 No matter what your mum loves, Card Connection, leading greeting card publisher and franchisor, have cards for all tastes and budget that will surely delight your mum when she opens her envelope. Our fantastic selection of Mother’s Day designs features some well-known licenses including Mrs. Brown’s Boys, Winnie the Pooh and Boofle as well as a beautiful mixture of contemporary, fun and delicately handcrafted cards. Each of our cards also has just the perfect sentiment to accompany our gorgeous deigns, so whether you want to make your mum laugh, tell her a big “Thank You” or simply tell her how much she is loved, our range will have that perfect card for every mum out there.